Egyptian security forces moved hawkers working in a vital square in central Cairo to a nearby venue set up for them on Sunday morning. Later today 550 kiosks will be handed to hawkers in the new location, the deputy governor of Cairo was cited by state news agency MENA as saying. According to MENA, hawkers started leaving Ramses Square in the early hours of Sunday, following the governor’s decision to evacuate in order to reduce traffic in Downtown Cairo. The government used cranes to relocate what the hawkers left behind at the presence of Central Security Forces, in case of clashes. 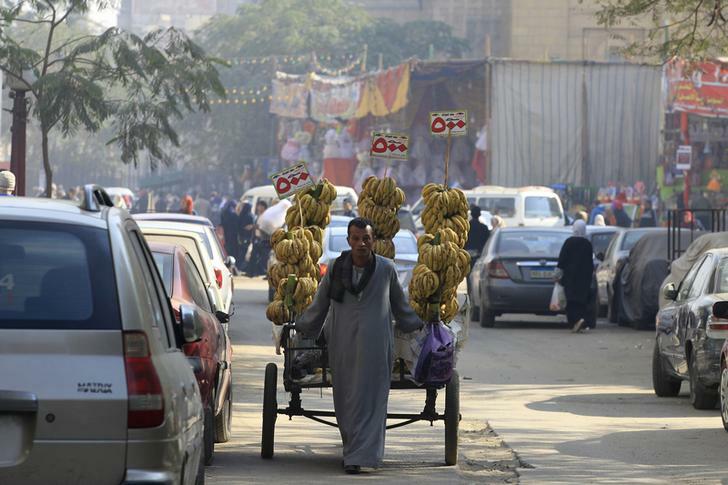 The number of hawkers in Egypt rose significantly after 2011, when many people took advantage of the lax security conditions in the country, which followed the January 2011 uprising. Last summer, the government evacuated hawkers from central Cairo on several stages in order to clear the streets.